The Bolivian Amazon is a prime site for natural disasters. Despite being on opposite ends of the spectrum, flooding and drought are both experienced on a yearly basis. During the rainy season, the Mamoré River collects so much water that it swamps the surrounding grasslands and prairies, destroying much of the local production/livelihood. During the dry season, water becomes so scarce that crops dry out and cattle die. GiveIn some years, the extreme weather is catastrophic. 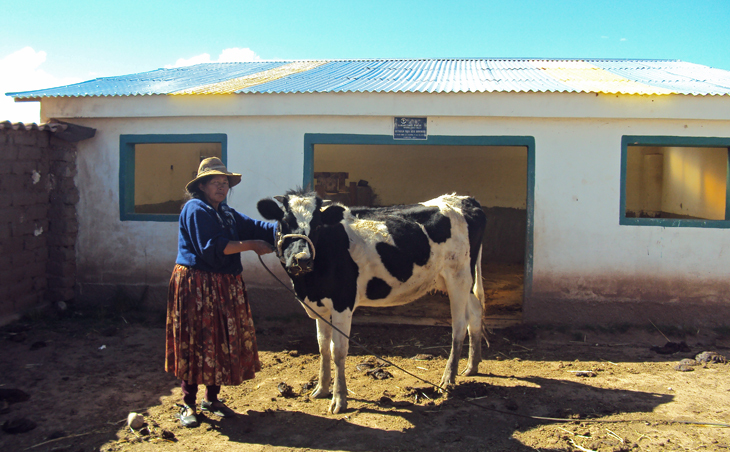 During the 2007 and 2008 floods, Marban and Moxos provinces lost 100 percent of their agriculture production and 85 percent of their livestock. In 2010, more than 2,300 cattle and 4,000 hectares of land were lost due to drought and brush fires. Each year, relief agencies respond to the crisis with temporary shelters, food, water, blankets, non-food items, and other essentials. Some even replace lost seed and cattle to help farmers get back on their feet. But while these efforts provide temporary relief, the Samaritan’s Purse office in Bolivia began to look for strategies to prevent reoccurring loss and make local inhabitants less dependent on foreign assistance. 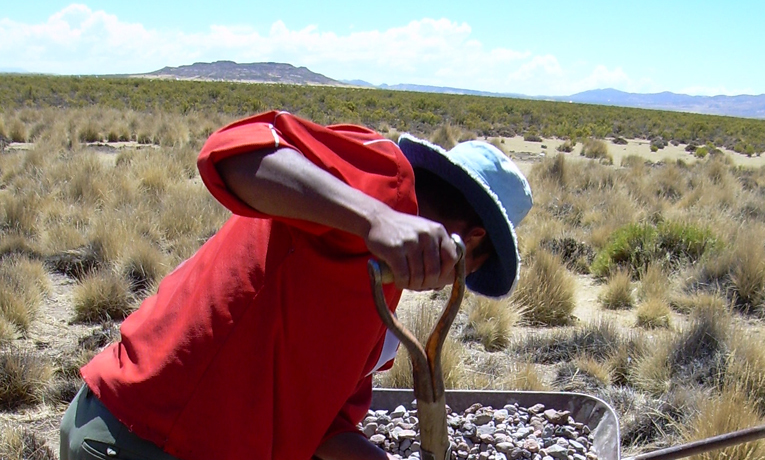 Our staff, in partnership with the Bolivian Foundation of Science and Sustainable Development, developed an agro-production model to prevent the continuing cycle of crop loss from flood and drought. The model is based on local pre-Colombian technology consisting of a system of flood embankments. The embankments include a series of three or four rectangular mounds of land divided by water and elevated two to three feet above the water level. Each embankment system is surrounded by a water moat. This system permits the uninterrupted cultivation of a variety of vegetation and seeds no matter the weather. Rice, corn, bean, and yucca seeds planted on the elevated mounds of land are not washed away during floods. Water pumped from a nearby river creates a moat around the embankment to provide a continual system of irrigation during times of drought while also creating an unpolluted environment to raise fish. Banana trees planted on the embankment belt provide shade, as well as fruit. The seeds grown in the embankment system are distributed to farmers and then planted in their fields as a means of generating food. Each harvest initiates a new season, permitting a continual cycle of production that is not affected by adverse changes in climate. Samaritan’s Purse has successfully completed flood embankment projects in San Antonio de Loras and El Masí and has noticed tremendous improvements. Local beneficiaries report increased production of yucca, corn, peppers, beans, rice, banana, and watermelon. Their outputs have allowed them to increase personal consumption, improve yields through the collection of seed, and even sell excess production to neighboring communities. While all these results are greatly encouraging, nothing surpasses the joy of seeing lives transformed by the power of the Gospel. During the course of this project, we saw an entire family in San Antonio de Loras come to know the Lord. They immediately started going through a weekly discipleship process with our ministry department and Pastor Armando from the Camiaco church, which was planted by Samaritan’s Purse. The family members were so touched by the Gospel truth that they started spreading the Good News to the surrounding communities, leading others to the Lord. Their influence was so far reaching that last September, 10 people were baptized in their community. Now Hector and Rosmery, the parents, gather with the community members on a weekly basis to listen to an audio Bible they received from our ministry team. Their oldest daughter, now 13, regularly meets with the children to teach them Bible stories. Her younger brother has memorized several chapters. We praise the Lord for His awesome power and mercy as we watch this community simultaneously develop both agriculturally and spiritually.